Binary options are a relatively new trading method which became popular after its approval by U.S. Securities and Exchange Commission in 2008. Binary options require users to predict the future price movement of an underlying asset and they can gain up to 80% profit based on the outcome of the trade. Users need to choose an underlying asset and determine the strike price and expiry time for the trade. The trader then chooses a “Call” option if they anticipate the trade to expire above “strike price” or “Put” option if they anticipate the trade to finish below the “strike price”. You should read a binary options guide in order to accurately predict the price movement and gain maximum returns on investment. 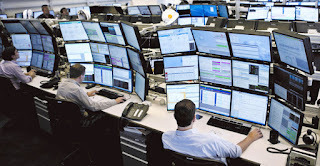 Some of the popular trading strategies used by successful binary options traders are listed below. Also called as bull-bear strategy, this is one of the basic strategies adopted by both experienced and novice traders. It involves monitoring the trend line of the underlying asset carefully and looking for the crests and troughs. If the trend line is flat and asset price is expected to rise, then traders follow the No Touch option. Traders will select the “Call” option if the trend line indicates a rise in asset price and go for “Put” option if the trend line indicates the asset price will decline. According to this technique, you should choose the “No touch” price which the asset is not expected to reach within certain period. It is one of the most popular strategies used by professional binary options traders. Risk reversal strategy aims to maximize the returns and reduce the risk factors associated with binary options. In order to execute this strategy, you should simultaneously place a “Put” and “Call” option on an individual asset. This strategy is especially helpful if an asset has been fluctuating too much and you are unable to predict the future price movement accurately. Naturally there are two possible outcomes for every binary options trade and by placing both “Put” and “Call” option on same asset, you can reduce the losses and be sure that at least one of them will generate a positive outcome. This is also similar to risk reversal strategy and is based on the assumption that if an asset price goes up, it should definitely come down after certain point. You should first identify an underlying asset and choose either a “Put” or “Call” option based on the current trend line. For example, if you are investing in USD/JPY currency pair and the price is expected to go up based on the current trend line, then you will automatically choose the “Call” option based on hedging strategy. Once your option is “In the Money” and asset price rises according to your speculation, you should wait for a tipping point after which the asset price is again expected to decline. Now you should place a “Put” option and make an opposing investment in order to double your profit. This strategy is also helpful when the underlying asset is highly volatile and keeps fluctuating continuously. This strategy requires some prior trading experience and relies on the paired evolution of related stock prices. This strategy is constructed based on stock pairs which possess high positive correlation between each other in which the rise in one of the stock prices has a great chance for other stock also to increase. In order to implement this strategy, you should first select a stock pair and identify their past movement based on analysis of price charts. You should choose a stock pair which has temporary gap between them and will soon recover to their correlated path. Then you should open a trade opposite to the gap by choosing either Fix or Floating options on the lower stock. This strategy is especially helpful if you are trading stocks and commodities as underlying assets of binary options. It involves understanding and analyzing the market trends of particular asset and gaining thorough knowledge of that asset. For example, if you are trading binary options against a particular stock you should thoroughly review the earning reports, financial statements and market news corresponding to that particular company. This information will provide a signal of what will the direction of movement for that particular stock in future. Similarly if you are trading binary options against gold, then you should have in-depth knowledge about the past history of gold and understand its market trends in order to accurately predict the future price movement. You should follow effective trading strategies to identify signals which can help you in predicting market trends and minimizing the losses. You should never invest your entire capital on a single trade and should carefully review the trends of your underlying asset before investing money into it. While beginners prefer a conservative strategy to slowly build their capital, experienced traders will go for an aggressive trading strategy to gain maximum returns.